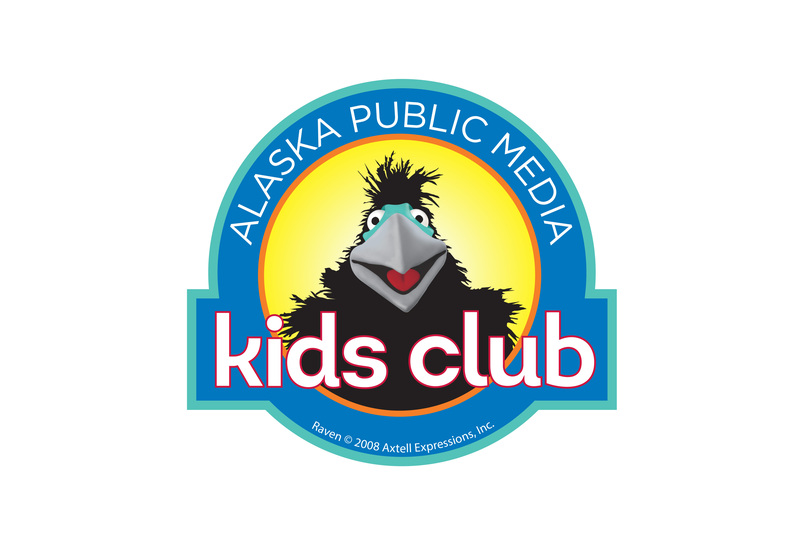 Alaska Public Media requested a new logo for Kids Club, their children outreach project. As the station that airs PBS Kids programs such as Clifford and Sesame Street, they’ve already won the hearts of kids all over the state. The organization also does “In My Family,” an endearing program featuring Alaska Native language education geared towards very small children. This is an extremely important service as these Native languages are in danger of becoming extinct. Raven, the puppet, hosts these videos and learns about how to say different phrases in another language, so it made perfect sense to feature him in the Kids Club logo. Dewey Hoffman teaches Raven how to say DRY FISH in Koyukon Athabascan.